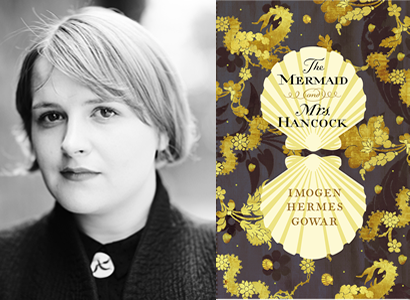 Join us for our first event of 2018 as we welcome Imogen Hermes Gowar to Booka to talk about her fabulous debut novel The Mermaid and Mrs Hancock – a spellbinding story of curiosity, love and obsession set in Georgian London. The Mermaid and Mrs Hancock is Vintage’s lead debut of 2018 – we love this book and think it could be huge! Don’t miss this chance to meet a great new literary talent. Tickets: £6 (£5 redeemable against a signed copy of The Mermaid and Mrs Hancock). Includes a glass of wine / soft drink on arrival. Tickets available from the bookshop, or purchase online (with booking fee).